I love strawberries and when they are in season I literally will eat them every chance I get!!! Therefore, I had to find a way to sneak them into my dinner too! 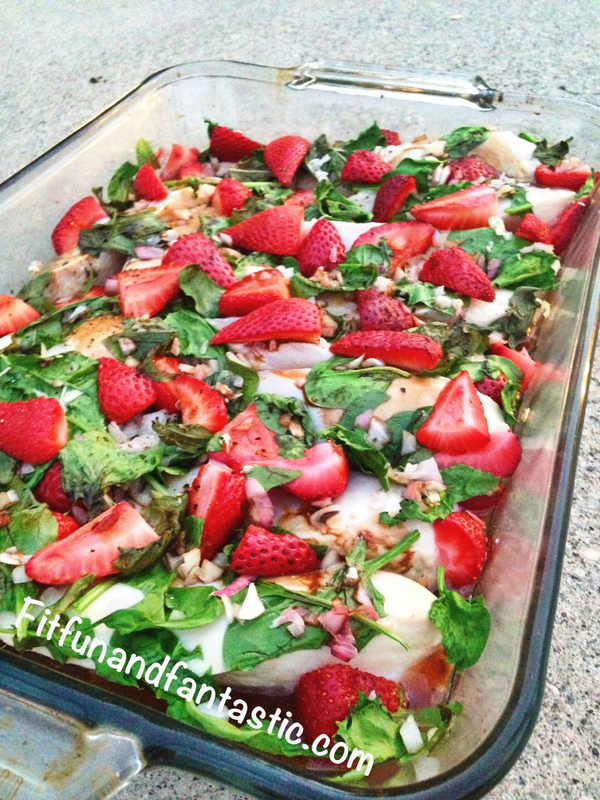 This meal is so flavorful and moist! 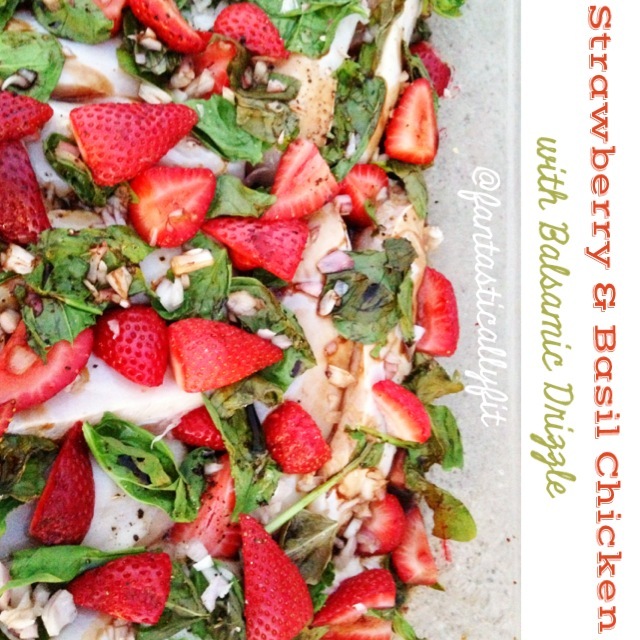 Then top the chicken with the strawberries, shallot, spinach, and basil. Then drizzle the entire dish with balsamic. Bake for approximately 30 minutes until chicken is cooked through!